I joined the 9th Annual comic reading challenge with the lowest level, 12 books for Modern Age. I ended up reviewing 38 comics and so got up one level, to the Bronze Age. I joined the New Authors challenge for 10 new to me writers but ended up reading 25. 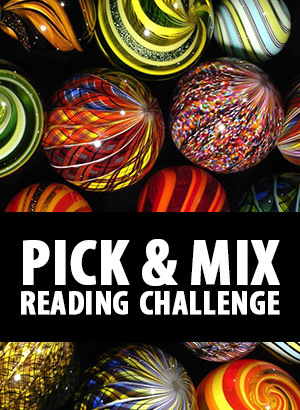 I joined Worlds Without End’s Pick & Mix reading challenge for 40 books and managed to complete it. Initially, I thought I’d use only books from my physical TBR piles but I ended up adding ebooks and audio books, too. But for every one of the audio and ebooks, I read a book from my physical TBR pile, so I did end up reducing my mountains of books by 40! Hopefully, I can continue the trend next year. September has started and it’s time to enjoy R.eaders I.mbibing P.eril challenge, hosted by Carl at Stainless Steel Droppings. Welcome to R.eaders I.mbibing P.eril XI. Many of you are probably frequent participants in this event, but for those who are new, or returning after an absence, I grew up reading scary stories illustrated by the incomparable Edward Gorey, watching horror films starring Vincent Price, and generally discovering the literary wonder of authors like Bram Stoker and Edgar Allan Poe. I did go through a brief high school, early-20’s phase where the overly gorey films like Nightmare on Elm Street were my fancy, and while I do not look down on anyone who continues to embrace that kind of entertainment, my first love when it comes to those lengthening Autumn nights are stories in the gothic vein, classic and modern mysteries, and the kind of atmospheric stories, in any format, that give you chills up your spine and make you want to pull the covers up tight. It is in that spirit that this event began. Reading and watching television are solitary activities, but can be expanded to a community if you get together to share what is exciting your interest and to discuss like passions. That is the entire point of R.eaders I.mbibing P.eril. The genres familiar from previous years are thrillers, mystery, dark fantasy, suspence, gothic, and horror. This year I’m concentrating on reading authors I’m familiar with. I still have three unread mystery books from Elizabeth Peters, the Serpent on the crown, Street of Five Moons, and Siluoutte in Scarlett, so I’ll try to finish them. Also, I’ve only two more books left in Kris Nelscott’s excellent historical mystery series: Days of Rage and Street Justice. I might also get caught up with Walking Dead (the tv show). I’m at least two seasons behind. The review site is here. Monday, March 21st (my wife Mary’s birthday) marks the official start date of the tenth annual Once Upon a Time Challenge. This is a reading and viewing and gaming event that encompasses four broad categories: Fairy Tale, Folklore, Fantasy and Mythology, including the seemingly countless sub-genres and blending of genres that fall within this spectrum. 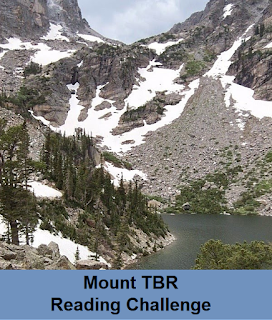 The challenge continues through June 21st and allows for very minor (1 book only) participation as well as more immersion depending on your reading/viewing/gaming whims. Don’t like the word “challenge”? We have something special just for you. Rule #3: Don’t keep the fun to yourself, share it with us, please! Rule #4: Do not be put off by the word “challenge”. I’ve had lots of fun in the previous events and I’m joining this year, too. 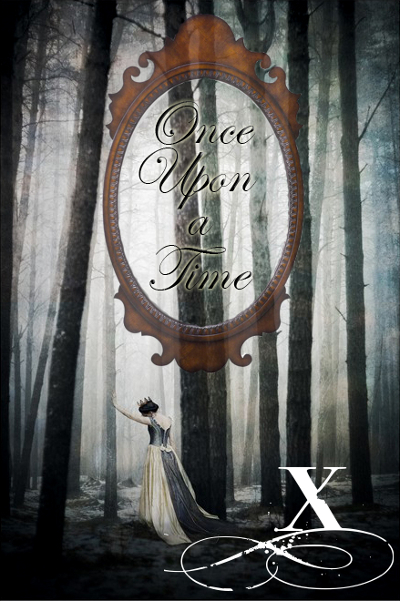 Read at least 5 books that fit somewhere within the Once Upon a Time categories. They might all be fantasy, or folklore, or fairy tales, or mythology… or your five books might be a combination from the four genres. Aliette de Bodard’s Aztec inspired fantasy, Anne Lyle’s Elizabethian alternate history/fantasy, The Drawing of the Dark by Timothy Powers, and Dawn’s Early Light by Pip Ballantine and Tee Morris, a steampunk book. Of course, I’ll also read comics. Recently, I found out that the Finnish library system has some of the collected editions of Hal Foster’s Prince Valiant strips. I read them when I was growing up but not all of them were translated. Now, I’ll have the chance to revisit them and also read strips I haven’t read before. Has anyone else read them? 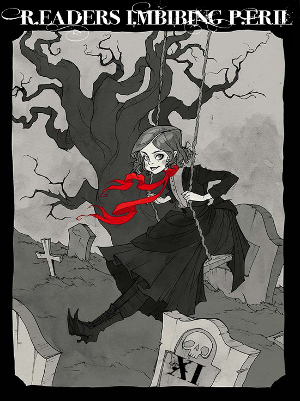 15, Laura Resnick: Maybe You’ve Heard of Me? This year I’m going to focus more on reading authors already familiar to me but I’m most likely going to read new authors, too, so I’m joining again New Authors challenge. This year I can choose the number of new authors I’ll read so I’m choosing 10. 1, The challenge will run from January 1, 2016 through December 31, 2016. 2, Since this is an author challenge, there is no restriction on choosing your novels. They can definitely be from other challenges. However, the authors must be new to you and, preferably from novels. Anthologies are a great way to try someone new, but only a third of your new authors can be from short stories/novellas or anthologies. 3, I want this to be an easy challenge, so you tell me how many new authors you want to discover. If it’s 1 or 100, go for it. It all depends on how fast you read and how adventurous you want to be. 4, After reading your new author, write your review and then come back here and add your link to the form. 5, Bloggers or Non-Bloggers alike are welcome. You don’t have to have a site to participate. You can link up via Facebook, GoodReads or even Amazon if you’d like. I’m going to choose 10 new authors. 10, Laura Resnick: Maybe You’ve Heard of Me?